This book is a fantastic window into the real-life experiences of three women deployed to Afghanistan and Iraq with the Indiana National Guard. I would definitely recommend it to those interested in seeing behind the headlines to what soldiers and their lives (much of this book is applicable not only to women, though they are the protagonists) are like. Michelle Fischer joined the National Guard at age 19, just a few months before 9/11, in order to pay for college. Facing a difficult financial situation, as the first in her family to attend college and with a chaotic home life, she thought this would be a safe bet, even though she was a pot-smoking Nader voter who definitely didn’t want to deploy. Debbie Helton joined up at 34, and deployed at 51; a hair salon manager and divorced mother who’d grown up in a military family, she wanted to do something that would give more meaning to her life. She became the team mom at home, but wanted more and pushed to deploy with the rest of her unit. Desma Brooks joined in her 20s for reasons that seem unclear even to her. She’d had a difficult life – foster care, a teen pregnancy, an abusive marriage producing two more kids – and was struggling to provide for her children, but always claimed she’d joined the Guard by mistake. While skilled with the military’s technology, she had little patience for authority or interest in deploying and leaving her young kids behind. The book follows these three women, as well as those around them, from 2001 until 2013, through training, deployments to Afghanistan and Iraq, and reintegration into American society. 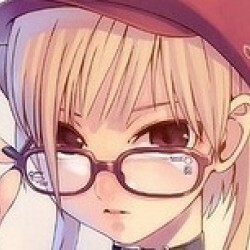 It’s a very close look at their lives; some reviewers have claimed it’s too detailed, to which I say, that’s the point! The point is to immerse us in their experiences, show us what their lives are like. Thorpe is a great storyteller, and does a fantastic job of bringing them to life. And it’s very much a warts-and-all look at military life. Unlike prior books I’d read about women in the military, it is neither a rah-rah celebration of women in the military (these women’s deployments took place before they were officially allowed on the battlefield, though they face danger driving trucks, repairing weapons in Kabul and living on a frequently-shelled base), nor is it a call to arms about sexual assault (which is not a focus here). The women are competent at their jobs, but they are not extraordinary soldiers, and many of their experiences aren’t exactly family-friendly. There’s a lot of drinking (much of self-medication), some drugs, and a lot of infidelity (having a “deployment relationship” seems to be the norm among the younger women, regardless of their relationship status at home). Their relationships with families back home are complicated and often leave the soldiers exhausted; Desma uses her leave to take a vacation somewhere else rather than visiting her children and leaving them all over again. 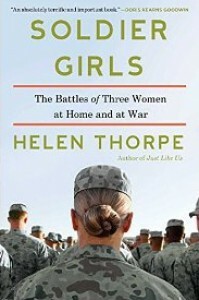 If this book has one weakness, it’s that it’s very closely focused on the three protagonists and those around them, without much information about the larger picture of women in the military. That said, while I was at first disappointed that the women seemed so superficially similar (all white women in the Indiana National Guard, and all friends with one another), I ultimately found their experiences and opinions to be quite diverse, and each one brings a lot to the book. I’m impressed that they all opened up as much as they did, even about subjects on which they’re likely to be judged; two of them even use their real names. And the author tells their stories without judgment and without ever inserting herself into the tale. In sum, I found this to be a great book, telling compelling real-life stories that opened my eyes to a lot about military life that I hadn’t previously known. I would definitely recommend this to anyone interested in walking in female soldiers’ shoes for awhile.